哈囉！你好嗎？ Hello, how are you? Keku ka imelo? 你叫甚麼名字？ What is your name? Kedu ahagi? ^ Basden, George Thomas. Among the Ibos of Nigeria: An Account of the Curious & Interesting Habits, Customs & Beliefs of a Little Known African People, by One who Has for Many Years Lived Amongst Them on Close & Intimate Terms. Seeley, Service. 1921: 184. ^ Wright, J. B. Geology and mineral resources of West Africa. Coal: Springer. 1985: 116. ISBN 0-04-556001-3. ^ Elizabeth, Isichei. A History of the Igbo People. London: Macmillan. 1976. ISBN 0-333-18556-0. ; excerpted in "Cultural Harmony I: Igboland — the World of Man and the World of Spirits", section 4 of Kalu Ogbaa, ed., Understanding Things Fall Apart (Westport, Conn.: Greenwood Press, 1999; ISBN 0-313-30294-4), pp. 83–85. ^ 11.0 11.1 11.2 Apley, Apley. Igbo-Ukwu (ca. 9th century). The Metropolitan Museum of Art. [2008-11-23]. ^ 12.0 12.1 12.2 Isichei, Elizabeth Allo. A History of African Societies to 1870. Cambridge University Press Cambridge, UK. 1997: 512. ISBN 0-521-45599-5. ^ Uzukwu, E. Elochukwu. Worship as Body Language. Liturgical Press. 1997: 93. ISBN 0-8146-6151-3. ^ Isichei, Elizabeth Allo. A History of African Societies to 1870. Cambridge University Press. 1997: 246 [2008-12-13]. ISBN 0-521-45599-5. ^ Hrbek, Ivan; Fāsī, Muḥammad. Africa from the Seventh to the Eleventh Century. London: Unesco. 1988: 254. ISBN 92-3-101709-8. ^ 16.0 16.1 Lovejoy, Paul. Identity in the Shadow of Slavery. Continuum International Publishing Group. 2000: 62. ISBN 0-8264-4725-2. ^ Onwuejeogwu, M. Angulu. Igbo Civilization: Nri Kingdom & Hegemony. Ethnographica. 1981. ISBN 0-905788-08-7. ^ Chambers, Douglas B. Murder at Montpelier: Igbo Africans in Virginia illustrated. Univ. Press of Mississippi. 2005: 33. ISBN 1-57806-706-5. ^ Hodder, Ian. The Archaeology of Contextual Meanings illustrated. CUP Archive. 1987: 72. ISBN 0-521-32924-8. ^ 21.0 21.1 Nyang, Sulayman; Olupona, Jacob K. Religious Plurality in Africa: Essays in Honour of John S. Mbiti. Berlin: Mouton de Gruyter. 1995: 118. ISBN 3-11-014789-0. ^ Edward Wilmot Blyden. Microsoft Encarta Online Encyclopedia. [19 November 2008]. （原始内容存档于2009-10-31）. ^ Edward Wilmot Blyden:- Father of Pan Africanism (August 3, 1832 to February 7, 1912). Awareness Times (Sierra Leone). 2 August 2006 [2016-03-24]. （原始内容存档于2005-10-25）. ^ Robeson II, Paul. The Undiscovered Paul Robeson: An Artist’s Journey, 1898–1939 (PDF). Wiley. 2001: 3 [2008-12-27]. ISBN 0-471-24265-9. A dark-skinned man descended from the Ibo tribe of Nigeria, Reverend Robeson was of medium height with broad shoulders, and had an air of surpassing dignity. ^ Azuonye, Chukwuma. Igbo Names in the Nominal Roll of Amelié, An Early 19th Century Slave Ship from Martinique: Reconstructions, Interpretations and Inferences. footnote: University of Massachusetts Boston. 1990: 1 [2015-03-26]. ^ Guo, Rongxing. Territorial Disputes and Resource Management: A Global Handbook. Nova Publishers. 2006: 130. ISBN 1-60021-445-2. ^ Bight of Biafra. Britannica Online Encyclopedia. [2008-11-19]. ^ Chambers, D.B. REJOINDER – The Significance of Igbo in the Bight of Biafra Slave. Routledge, part of the Taylor & Francis Group. [2009-01-23]. ^ Bonny. Britannica Online Encyclopedia. [2008-12-27]. ^ Douglas, Chambers B. Murder at Montpelier: Igbo Africans in Virginia. Univ. Press of Mississippi. 2005: 25. ISBN 1-57806-706-5. ^ Talbot, Percy Amaury; Mulhall, H. The physical anthropology of Southern Nigeria. Cambridge University Press. 1962: 5. ^ Lovejoy, Paul E. Trans-Atlantic Dimensions of Ethnicity in the African Diaspora. Continuum International Publishing Group. 2003: 92–93. ISBN 0-8264-4907-7. ^ Isichei, Elizabeth Allo. Voices of the Poor in Africa. Boydell & Brewer. 2002: 81. ^ Rucker, Walter C. The River Flows on: Black Resistance, Culture, and Identity Formation in Early America. LSU Press. 2006: 52. ISBN 0-8071-3109-1. ^ Holloway, Joseph E. Africanisms in American Culture. bottom of 3rd paragraph: Indiana University Press. 2005: 32 [2008-12-19]. ISBN 0-253-21749-0. ^ Philips, John Edward. Writing African History. Boydell & Brewer. 2005: 412. ISBN 1-58046-164-6. ^ Berlin, Ira. African Immigration to Colonial America. History Now. [2016-03-25]. （原始内容存档于2008-09-19）. (paragraph 11) Preferences on both side of the Atlantic determined, to a considerable degree, which enslaved Africans went where and when, populating the mainland with unique combinations of African peoples and creating distinctive regional variations in the Americas. ^ Morgan, Philip D.; Sean Hawkins. Black Experience and the Empire. Oxford University Press. 2004: 82. ISBN 0-19-926029-X. ^ Appiah, Anthony; Henry Louis Gates. Africana. : 212. ISBN 0-465-00071-1. ^ Craton, Michael. Roots and Branches. University of Waterloo Dept. of History. : 125. ISBN 0-08-025367-9. ^ McWhorter, John H. Defining Creole. Oxford University Press US. 2005: 217 [2009-01-10]. ISBN 0-19-516670-1. ^ Robotham, Don. Jamaica and Africa (Part II). Gleaner Company. January 13, 2008 [2008-11-23]. （原始内容存档于2008-12-26）. ...It is not possible to declare that the Eastern Nigerian influence in Jamaica – apparent in expressions such as 'red ibo' – is Igbo. ^ Allsopp, Richard; Jeannette Allsopp. Dictionary of Caribbean English Usage. Contributor Richard Allsopp. University of the West Indies Press. 2003: 101. ISBN 976-640-145-4. ^ Carrington, Sean. A~Z of Barbados Heritage. Macmillan Caribbean Publishers Limited. 2007: 25. ISBN 0-333-92068-6. ^ Fischer, David Hackett; Kelly, James C. Bound Away: Virginia and the Westward Movement. University of Virginia Press. 2000: 62. ISBN 0-8139-1774-3. ^ Opie, Frederick Douglass. Hog and Hominy: Soul Food from Africa to America. Columbia University Press. 2008: 18. ISBN 0-231-14638-8. ^ list of languages #25 along with Kru and Yoruba (PDF). U.S. ENGLISH Foundation, Inc. [2009-01-10]. （原始内容 (PDF)存档于2009-02-20）. ^ Ekechi, Felix K. Missionary Enterprise and Rivalry in Igboland, 1857–1914 illustrated. last paragraph on page 146: by Routledge. 1972: 146. ISBN 0-7146-2778-X. ^ Chuku, Gloria. Igbo Women and Economic Transformation in Southeastern Nigeria, 1900–1960: 1900–1960 illustrated. Routledge. 2005: 145. ISBN 0-415-97210-8. ^ Afigbo, A. E. Groundwork of Igbo history. Lagos: Vista Books. 1992: 522–541. ISBN 978-134-400-8. ^ Furniss, Graham; Elizabeth Gunner; Liz Gunner. Power, Marginality and African Oral Literature. Cambridge University Press. 1995: 67. ISBN 0-521-48061-2. ^ Ilogu, Edmund. Christianity and Ibo Culture. Brill Archive. 1974: 63. ISBN 90-04-04021-8. ^ Sanday, Peggy Reeves. Female Power and Male Dominance: On the Origins of Sexual Inequality illustrated, reprint. Cambridge University Press. 1981: 136. ISBN 0-521-28075-3. ^ Gordon, April A. Nigeria's Diverse Peoples. ABC-CLIO. 2003: 87 [2008-12-19]. ISBN 1-57607-682-2. ^ Fielding, Steven; John W. Young. The Labour Governments 1964–1970: International Policy. Manchester University Press. 2003: 197. ISBN 0-7190-4365-4. ^ 59.0 59.1 Mathews, Martin P. Nigeria: Current Issues and Historical Background. Nova Publishers. 2002: 38. ISBN 1-59033-316-0. ^ Minogue, Martin; Judith Molloy. African Aims & Attitudes: Selected Documents. General C. O. Ojukwu: CUP Archive. 1974: 393. ISBN 0-521-20426-7. ^ Bocquené, Henri; Oumarou Ndoudi; Gordeen Gorder. Memoirs of a Mbororo: The Life of Ndudi Umaru, Fulani Nomad of Cameroon. Berghahn Books. 2002: 285. ISBN 1-57181-844-8. ^ Diamond, Stanley. The Biafra Secession. Africa Today (Indiana University Press). June 1967, 14 (3): 1–2. JSTOR 4184781. doi:10.2307/4184781 (不活跃 2015-01-09). ^ Keil, Charles. The Price of Nigerian Victory. Africa Today (Indiana University Press). January 1970, 17 (1). JSTOR 4185054. ^ John Lennon. Rock and Roll Hall of Fame + Museum. 2007 [2008-11-24]. September 1, 1969: John Lennon returns his MBE. He says it is to protest the British government's involvement in Biafra, its support of the U.S. in Vietnam and the poor chart performance of his latest single, 'Cold Turkey'. ^ Call for Biafra to leave Nigeria. BBC. 6 July 2007 [2008-11-23]. ^ 66.0 66.1 Howard-Hassmann, Rhoda E. Human Rights in Commonwealth Africa. Rowman & Littlefield. 1986: 95 [2008-12-18]. ISBN 0-8476-7433-9. ^ Ihemere, Kelechukwu U. A Tri-Generational Study of Language Choice & Shift in Port Harcourt. Universal-Publishers. 2007: 26. ISBN 1-58112-958-0. ^ Emenanjọ, Nọlue. Auxiliaries in Igbo Syntax: A Comparative Study. Indiana University Linguistics Club. 1985: 64. ^ Udogu, Emmanuel Ike. Nigeria in the Twenty-first Century: Strategies for Political Stability and Peaceful Coexistence. Africa World Press. 2005: 51 [2008-12-18]. ISBN 1-59221-320-0. ^ Nwachuku, Levi Akalazu. Troubled Journey: Nigeria Since the Civil War. Wm. B. Eerdmans Publishing. 2004: 59 [2008-12-18]. ISBN 0-7618-2712-9. ^ Groundwork of Igbo history. Vista Books, Lagos,. 1992: 161–177. ISBN 978-134-400-8. ^ Amadiume, Ifi. The Politics of Memory: Truth, Healing and Social Justice. Zed Books. 2000: 104–106. ISBN 1-85649-843-3. ^ Odi, Amusi. Igbo in Diaspora: The Binding Force of Information (PDF). University of Texas. [2008-11-23]. ^ 74.0 74.1 Furniss, Graham; Elizabeth Gunner; Liz Gunner. Power, Marginality and African Oral Literature. Cambridge University Press. 1995: 65. ISBN 0-521-48061-2. ^ Chigere, Nkem Hyginus M. V. Foreign Missionary Background and Indigenous Evangelization in Igboland illustrated. LIT Verlag Berlin-Hamburg-Münster. 2001: 113. ISBN 3-8258-4964-3. ^ Gordon, April A. Nigeria's Diverse Peoples: A Reference Sourcebook illustrated, annotated. ABC-CLIO. 2003: 37. ISBN 1-57607-682-2. ^ Basden, George Thomas. Among the Ibos of Nigeria: An Account of the Curious & Interesting Habits, Customs & Beliefs of a Little Known African People, by One who Has for Many Years Lived Amongst Them on Close & Intimate Terms. Seeley, Service. 1921: 96. ^ Ilogu, Edmund. Christianity and Ibo culture. Brill Archive. 1974: 11. ISBN 90-04-04021-8. ^ Ndukaihe, Vernantius Emeka; Fonk, Peter. Achievement as Value in the Igbo/African Identity: The Ethics. LIT Verlag Berlin-Hamburg-Münster. 2006: 204. ISBN 3-8258-9929-2. ^ Agbasiere, Joseph Thérèse. Women in Igbo Life and Thought. Routledge. 2000: 12 [2008-12-19]. ISBN 0-415-22703-8. ^ Chambers, Douglas B. Murder at Montpelier: Igbo Africans in Virginia illustrated. Univ. Press of Mississippi. 2005: 183. ISBN 1-57806-706-5. ^ Liamputtong, Pranee. Childrearing and Infant Care Issues: A Cross-cultural Perspective. Nova Publishers. 2007: 155. ISBN 1-60021-610-2. ^ Holbrook, Jarita C.; R. Thebe Medupe; Johnson O. Urama. African Cultural Astronomy: Current Archaeoastronomy and Ethnoastronomy Research in Africa. Springer, 2007. : 235. ISBN 1-4020-6638-4. ^ Holbrook, Jarita C. African Cultural Astronomy: Current Archaeoastronomy and Ethnoastronomy Research in Africa. Springer. 2007: 35 [2008-01-10]. ISBN 1-4020-6638-4. ^ Njoku, Onwuka N. Pre-colonial economic history of Nigeria. Ethiope Publishing Corporation, Benin City, Nigeria. 2002. ISBN 978-2979-36-8. ^ Onwuejeogwu, M. Angulu. An Igbo civilization: Nri kingdom & hegemony. Ethnographica. 1981. ISBN 978-123-105-X. ^ Aguwa, Jude C. U. The Agwu deity in Igbo religion. Fourth Dimension Publishing Co., Ltd. 1995: 29. ISBN 978-156-399-0. ^ Hammer, Jill. The Jewish book of days: a companion for all seasons. Jewish Publication Society. 2006: 224. ISBN 0-8276-0831-4. ^ Peek, Philip M.; Kwesi Yankah. African Folklore: An Encyclopedia illustrated. Taylor & Francis. 2004: 299. ISBN 0-415-93933-X. ^ Shillington, Kevin. Encyclopedia of African History. CRC Press. 2005: 674. ISBN 1-57958-245-1. ^ 91.0 91.1 Equiano, Olaudah. The Interesting Narrative of the Life of Olaudah Equiano. I. Knapp. 1837: 20–21. ^ Uchendu, Victor Chikezie. The Igbo of southeast Nigeria illustrated. Holt, Rinehart and Winston. 1965: 4. ISBN 0-03-052475-X. ^ Glenny, Misha. McMafia Seriously Organised Crime. Random House. 2008: 200. ISBN 0-09-948125-1. ^ Agbasiere, Joseph Thérèse; Shirley Ardener. Women in Igbo Life and Thought. Routledge. 2000: 114 [2008-11-24]. ISBN 0-415-22703-8. ^ Ritzer, George. Handbook of Social Problems: A Comparative International Perspective. Contributor George Ritzer. SAGE. 2004: 248 [2008-11-24]. ISBN 0-7619-2610-0. ^ Uchendu, Patrick Kenechukwu. Education and the Changing Economic Role of Nigerian Women. Fourth Dimension Publishing. 1995: 114. ISBN 978-156-403-2. Formerly, there were many polygamous marriages because of the need for many hands to work in the farm. 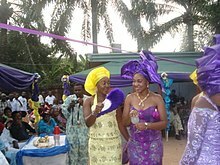 ^ Okeke-Ihejirika, Philomina Ezeagbor. Negotiating Power and Privilege: Igbo Career Women in Contemporary Nigeria. Ohio University Press. 2004: 34 [2008-11-24]. ISBN 0-89680-241-8. ^ Oheneba-Sakyi, Yaw. African families at the turn of the 21st century. Greenwood Publishing Group. 2006: 161. ISBN 0-275-97274-7. ^ 106.0 106.1 106.2 106.3 106.4 106.5 Masquelier, Adeline Marie. Dirt, Undress, and Difference: Critical Perspectives on the Body's Surface. Indiana University Press. 2005: 38–45 [2008-12-18]. ISBN 0-253-34628-2. ^ 107.0 107.1 107.2 Chuku, Gloria. 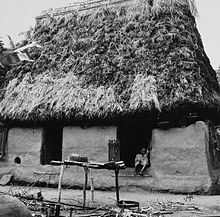 Igbo Women and Economic Transformation in Southeastern Nigeria, 1900–1960: 1900–1960. Routledge. 2005: 135 [2008-12-18]. ISBN 0-415-97210-8. ^ Equiano, Olaudah. The Interesting Narrative of the Life of Olaudah Equiano. I. Knapp. 1837: 14. ^ 109.0 109.1 Ukwu, Dele C. Igbo People: Clothing & Cosmetic Makeup at the Time of Things Fall Apart. last paragraph. [2008-11-23]. （原始内容存档于2008-09-23）. ^ Isichei, Elizabeth Allo. Igbo Worlds: An Anthology of Oral Histories and Historical Descriptions. Macmillan. 1977: 113 [2008-12-18]. ISBN 0-333-19836-0. ^ McCall, John Christensen. Dancing histories: heuristic ethnography with the Ohafia Igbo. University of Michigan Press. 2000: 53. ISBN 0-472-11070-5. ^ Emenanjọ, E. Nọlue. Elements of modern Igbo grammar: a descriptive approach. Oxford University Press. 1978: 42. ISBN 978-154-078-8. ^ Glasgow, Jacqueline; Linda J. Rice. Exploring African Life and Literature: Novel Guides to Promote Socially Responsive Learning. International Reading Assoc. 2007: 335 [2009-01-10]. ISBN 0-87207-609-1. ^ McWhorter, John H. The Missing Spanish Creoles: Recovering the Birth of Plantation Contact Languages. University of California Press. 2000: 77 [2008-11-29]. ISBN 0-520-21999-6. ^ O'Halloran, Kate. Hands-on Culture of West Africa. Walch Publishing. 1997: 63. ISBN 0-8251-3087-5. ^ Blacking, John; Joann W. Kealiinohomoku. The Performing Arts: Music and Dance. 4th paragraph: Walter de Gruyter. 1979: 265 [2009-01-10]. ISBN 90-279-7870-0. ^ Greenaway, Theresa; Rolf E. Johnson; Nathan E. Kraucunas. Rain Forests of the World. Marshall Cavendish. 2002: 292. ISBN 0-7614-7254-1. ^ Onwuejeogwu, M. Angulu. The Social Anthropology of Africa: An Introduction illustrated. Heinemann. 1975: 179. ISBN 0-435-89701-2. ^ Basden, G.T. ; John Ralph Willis. Among the Ibos of Nigeria. Seeley, Service. 1912: 216. ^ Elechi, O. Oko. Doing Justice Without the State: The Afikpo (Ehugbo) Nigeria Model. CRC Press. 2006: 32. ISBN 0-415-97729-0. ^ Sucher, Sandra J. The Moral Leader: Challenges, Tools and Insights. Routledge. 2007: 63. ISBN 0-415-40064-3. ^ Kirch, Patrick Vinton. Island Societies: Archaeological Approaches to Evolution and Transformation illustrated. CUP Archive. 1986: 71. ISBN 0-521-30189-0. ^ Newell, William Hare. Ancestoride! Are African Ancestors Dead?. Ancestors. Walter de Gruyter. 1976: 293–294. ISBN 90-279-7859-X. ^ Equiano, Olaudah. The Interesting Narrative of the Life of Olaudah Equiano. I. Knapp. 1837: 24. ^ Chigere, Nkem Hyginus M. V. Foreign Missionary Background and Indigenous Evangelization in Igboland. LIT Verlag Berlin-Hamburg-Münster. 2001: 97 [2008-11-24]. ISBN 3-8258-4964-3. ^ Agbasiere, Joseph Thérèse. Women in Igbo Life and Thought. Routledge. 2000: 143 [2008-12-19]. ISBN 0-415-22703-8. ^ Grove, George; Stanley Sadie. The New Grove Dictionary of Music and Musicians 6. Macmillan Publishers. 1980: 239. ISBN 0-333-23111-2. ^ Falola, Toyin. Culture and Customs of Nigeria. Greenwood Press. 2001: 174–183. ISBN 0-313-31338-5. ^ 132.0 132.1 132.2 132.3 Picton, John. art, African. West Africa, Igbo,: Britannica Online Encyclopedia. 2008 [2008-11-23]. ^ Eltis, David; David Richardson. Routes to Slavery: Direction, Ethnicity, and Mortality in the Transatlantic Slave Trade. Routledge. 1997: 87 [2008-11-24]. ISBN 978-0-7146-4820-0. ^ Harper, Peggy. African dance. 18th paragraph under 'Dance style': Britannica Online Encyclopedia. 2008 [2009-01-12]. ^ Chuku, Gloria. 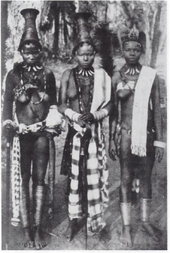 Igbo women and economic transformation in southeastern Nigeria, 1900–1960. Routledge. 2005: 43–44. ISBN 978-0-415-97210-9. ^ 136.0 136.1 Gikandi, Simon. Reading Chinua Achebe: Language & Ideology in Fiction. James Currey Publishers. 1991: 52 [2008-12-19]. ISBN 978-0-85255-527-9. ^ 137.0 137.1 137.2 Oliver, Paul. African architecture. Geographic influences, Palaces and shrines, last paragraph: Britannica Online Encyclopedia. 2008 [2008-11-23]. ^ The Poetics of Line. National Museum of African Art. Smithsonian Institution. [2008-12-19]. ^ 140.0 140.1 Oraka, L. N. The foundations of Igbo studies. University Publishing Co. 1983: 21. ISBN 978-160-264-3. ^ Equiano, Olaudah. The Interesting Narrative of the Life of Olaudah Equiano. I. Knapp. 1789: 9. ISBN 1-4250-4524-3. ^ Geschichte der Mission der evangelischen Brüder auf den caraibischen Inseln ... - Christian Georg Andreas Oldendorp, Johann Jakob Bossart - Google Boeken. Books.google.com. [2013-08-25]. ^ Achebe, Chinua. Things fall apart. Anchor. 1994: 11. ISBN 0-385-47454-7. ^ Underwood, Blair. Testimonials – "A welcome surprise that my people are from Nigeria & Ibo people". Africanancestry.com. [23 November 2008]. （原始内容存档于2008-12-19）. ^ Timberg, Scott. Living in the 'perfect metaphor'. Los Angeles Times. 18 February 2007 [25 January 2009]. But even before he became one of the rare Africans in the Phoenix Inn and one of the few blacks living in East L.A., Abani was what he calls "an outsider's outsider." He grew up in small Nigerian cities, the son of an Igbo educator father and a white English-born mother who'd met at Oxford, where she was a secretary and he was a post-doc student. Raised Roman Catholic, Abani studied in the seminary as a teenager. ^ Ezenwa-Ohaeto. Chinua Achebe: A Biography. Bloomington: Indiana University Press. 1997: 7. ISBN 978-0-253-33342-1. ^ Biko. [6 January 2009]. ^ Aliyu, Adekunle. P-Square crowned King of Africa in Ghana. paragraph 14: Vanguard Media Limited. 9 May 2008 [18 January 2009]. ^ Nwobu, Lawrence Chinedu. Ohanaeze and the Igbo Leadership Question. BNW Magazine. 31 January 2006 [6 October 2007]. ^ Curtis, Jake. BIG GAME / Brothers to Experience a New Family Rivalry. San Francisco Chronicle. 17 November 2000 [26 January 2009]. It is understood that Nnamdi and Chijioke represent their family in everything they do, says Nnamdi, and that each accomplishment or each behavior flaw would reflect on the entire family, even relatives in Nigeria. In their Ibo tribal language, Chijioke means "God creates talent" and Nnamdi means "My God is alive." ^ Semi-final success unites Nigeria. BBC News. 11 February 2000 [25 January 2009]. Two of the Super Eagles' top international stars, Arsenal star Nwankwo Kanu and Paris St Germain's Augustine 'Jay-Jay' Okocha are Ibo. ^ Obi's father calls for truce. BBC News. 13 May 2005 [25 January 2009]. ^ Oduro, Thomas. Agnes Okoh. Dictionary of African Christian Biography. [7 December 2015]. （原始内容存档于2016-07-08）. ^ Robeson II, Paul. The Undiscovered Paul Robeson: An Artist’s Journey, 1898–1939 (PDF). Wiley. 2001: 3 [27 December 2008]. ISBN 0-471-24265-9.